Your Gift Shop needs are unique and we have solution for your unique needs! 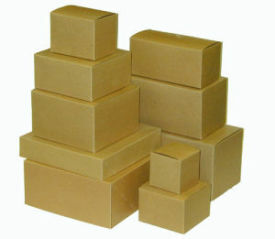 Choose from many different papers, handles, coatings, sizes, and colors for your store. 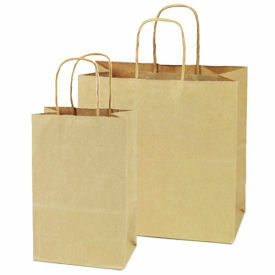 Our White and Natural Kraft paper bags both come in a recycled version. For your gift shop or speciality store, we offer modern 3D textured slatwall, traditional slatwall, accessories and acrylic attachments. 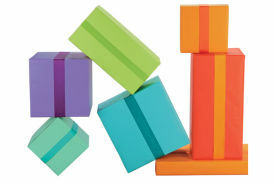 Our reps work closely with you to create look and feel for your gift shop. 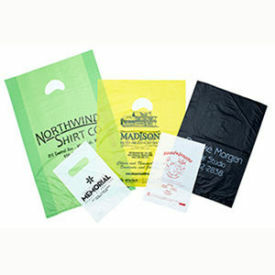 We have many types of Personalized Custom Plastic Bags programs you can choose from for your retail store. Let your imagination flow and choose the exact plastic bag you want. You choose the type, thickness, size, color and print to create just the image you want for your retail store. Select for your gift shop, the right kind of plastic bag. 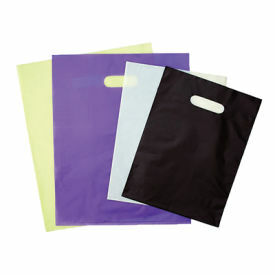 We offer low-density, high density, frosted and clear plastic bags. High density bags are thin but strong. They are known for their "crinkly" feel and can be made thinner or thicker. Call our rep to discuss more details. 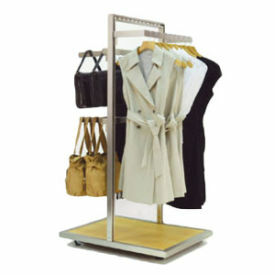 Choose from among our many display racks to display your literature, gift merchandise. Whether you want to highlight featured items or sell discontinued merchandise these fixtures will help you. If you don't see what you want here give us a call and we'll help you find what you want. 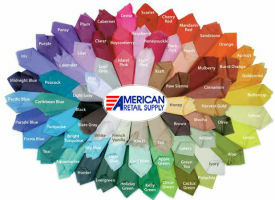 Choose from White Tissue Paper, Recycled Natural Kraft, over 69 stock colors, Custom and Stock Printed Patterns of Tissue Paper for your gift shops. Pick out the colors and designs that work together to perfectly portray your store's image. Choose from Natural Kraft Pinstripe, White, Tinted Kraft Tuckit, Pillow Packs or View Top Stationary Gift Boxes for your Gift Shop. Acrylic displays are perfect for showing off your store's product. 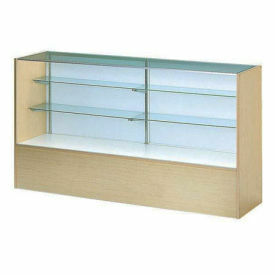 Clear acrylic displays will highlight your product rather than the fixture itself. 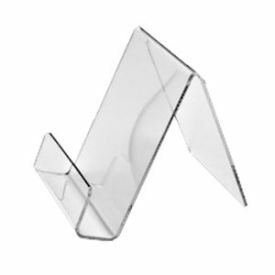 Select from hundreds of acrylic displays ideas to be used on slatwall, gridwall, countertops, or as a free standing display. 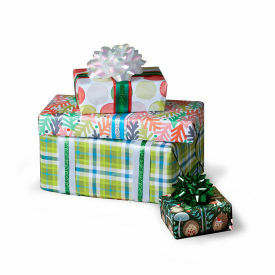 We offer our customers hundreds of patterns of gift wrap from which to choose in various sizes (cutter box, half ream, full ream). Call 800-426-5708 for Full Color Catalogs! 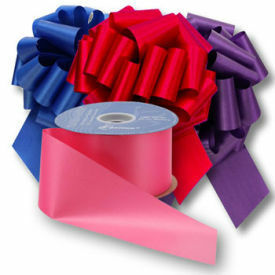 Bows and Ribbons can dress up plain items, easily turn a stock item into a specialty gift item and generally increase the perceived value of most products. Our ribbon is high-quality and can be post-printed with your logo or event message. Every gift shop has some common items they use for everyday operations. 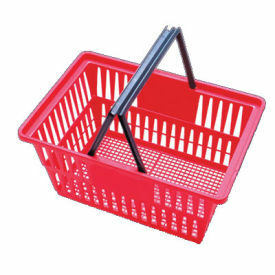 Our sizers, markers and labels are very popluar, but in this section you'll also find Convenience Items & Backroom Supplies like merchandising aids, shopping baskets, sign holders, tissue racks, paper cutters, packing supplies, and cash register paper. 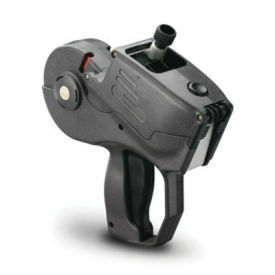 You'll find a wide variety of labelers, tagging guns and supplies for your gift shop. You'll also see a great selection of popular brands like Monarch, Meto, Garvey, TG Tachers, Tach-It and Avery Dennison price markers and taggers. 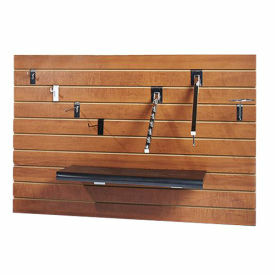 Our wall standards are engineered for commercial use in your gift shop unlike thin standards sold at home center stores. Slotted Wall Standards and Accessories are a quick and easy option for adding adjustable shelving, hangrail and faceouts to your walls.